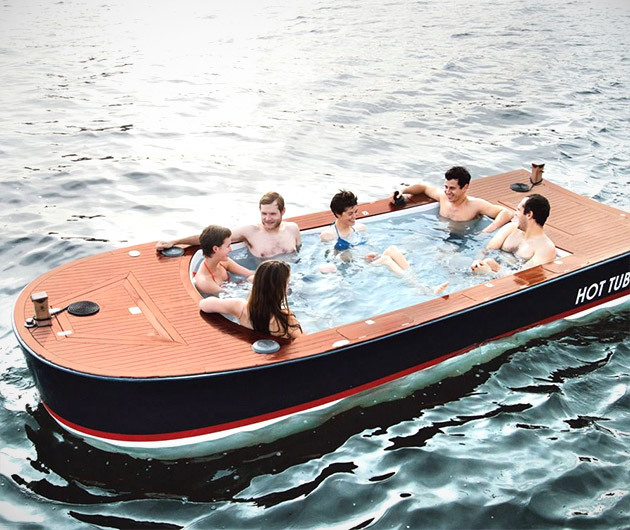 Soak and sail in bubbling luxurious style with a Hot Tub Boat. With a stunning handcrafted African teak wood deck, a waterproof stereo system, ice chests and storage compartments for towels and booze (what else would you possibly need? ), invest in one of these and you have the greatest and most original date venue on earth. And water.